In 2003, Dave Frye joined the team tasked with establishing and opening the Friday Institute. 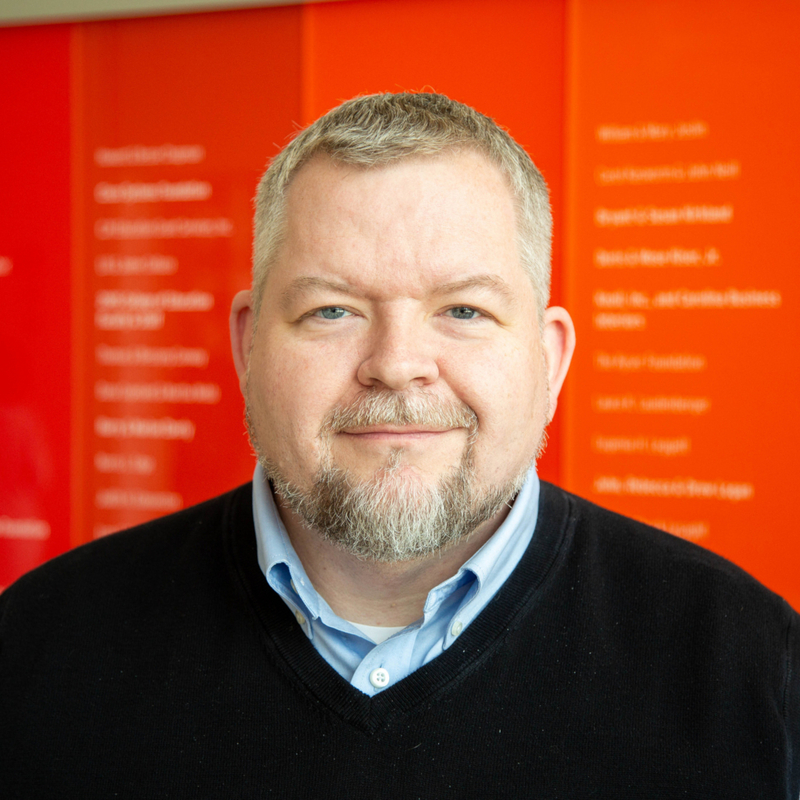 In his current role as Associate Director, Dave focuses on organizational development, strategic directions and new initiatives for the Friday Institute. Dave also leads Friday Institute communication, financial and IT teams; designs collaborative work spaces for Friday Institute research teams; and works with staff and researchers to develop creative, effective and efficient technology and financial and operational systems that advance the innovative work of the Friday Institute.